Experience the superior quality and transformative power of cabinetry reflecting the legendary perfection that is Tidwell craftsmanship. Custom and semi-custom frameless cabinets for construction and design flexibility. See a wide array of styles and designs: inset, solid, and raised panel. Browse our extensive collection, fall in love with quality cabinets, and transform your space. Custom and semi-custom framed cabinets for construction and design flexibility. See a wide array of styles and designs: inset, solid, and raised panel. Browse our extensive collection, fall in love with quality cabinets, and transform your space. Your cabinets are the backbone of your kitchen. Browse the kitchen gallery for inspiration. Personalize your bathroom with stylish cabinets that reflect your personality and fit your moods. 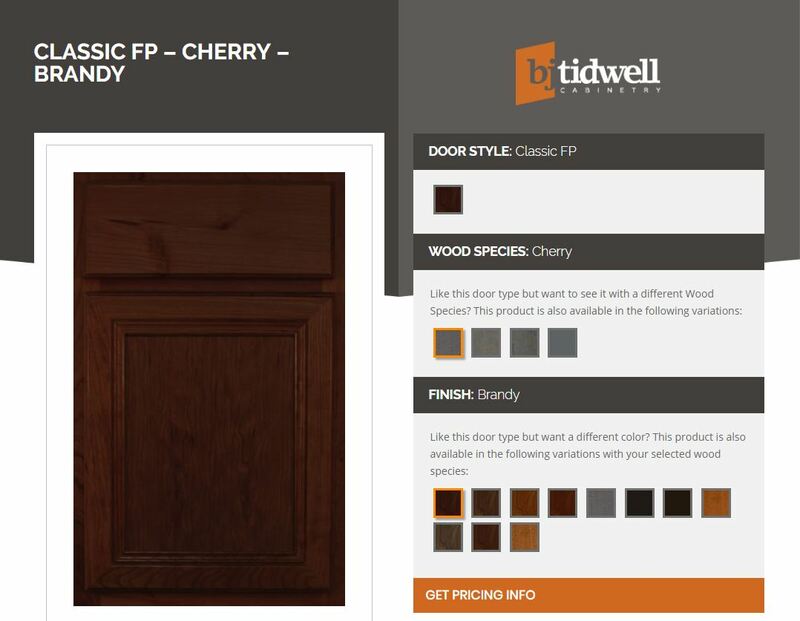 Transform your office, garage, or any room in your home with a variety of cabinets from BJ Tidwell. Identify your specific design theme (rustic, shaker, traditional, etc.) with flat panel, raised panel, and more. Select from a full spectrum of colors, tones and textures for unrivaled durability and beauty. Maple, hickory, walnut, cherry, and paint grade – each have unique characteristics. Choose your style, species, and finish to generate and visualize your custom creation. While our photos may look like they were ripped from the pages of magazines, these kitchens were all custom designed, inspired, and built at Nations Cabinetry. Warm, contemporary and still clean– create a mood with a dark, rich finish. 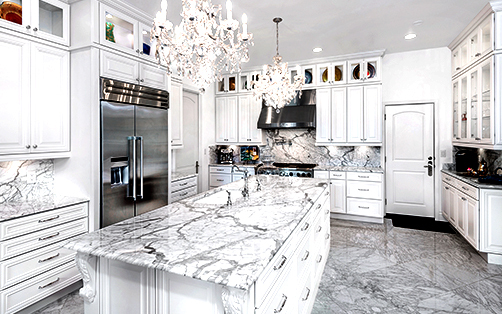 Transform to bright, elegant, and stately with satin white cabinets and blended stones. Bring a dull kitchen to life. 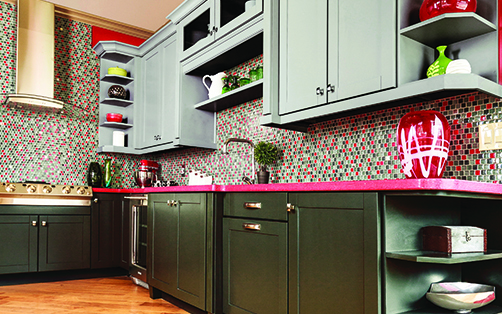 Mix and match finishes for a hip, quirky, and comfortable kitchen design. 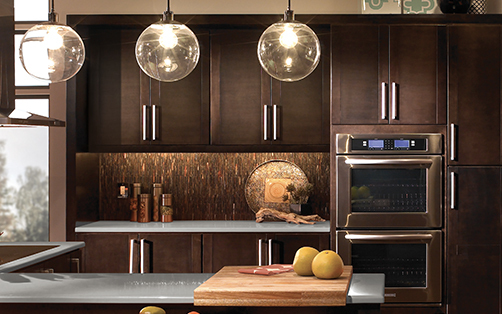 Find an authorized Nations Cabinetry dealer near you.